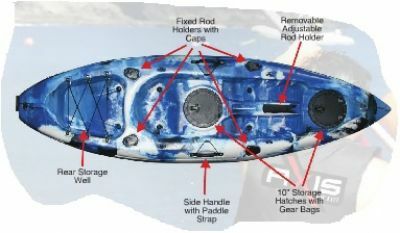 The AXIS Single Angler Kayak has been designed to suit the Australian market. It is light weight and extremely stable. Has four rod holders and one forward mounted adjustable rod holder. Comes complete with backrest and upgraded paddle (not shown in picture).